news - Contests, Loyalty Program, Gluten Free Pizza & More! – WE APPRECIATE YOUR BUSINESS! With a love for the restaurant and in hopes to make her parents proud, Dina and her staff work hard every day to ensure each guest leaves Pia’s Ristorante happy, full, and satisfied! The menu features a wide variety of Italian cuisine, using only the finest and freshest ingredients available. From casual eating to gourmet prepared dishes, Pia’s is guaranteed to be pallet pleasing to everyone. Our chefs added a full menu filled with vegetarian, gluten-free, vegan, and low-fat options for any diners with dietary restrictions. 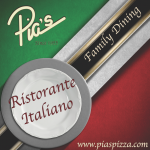 Pia’s Ristorante provides a comfortable setting and a family oriented atmosphere. Please check out the latest specials and feature items which are also posted on our Facebook social media page for seasonal specialty menu selections, a fan of the week and photo contests. 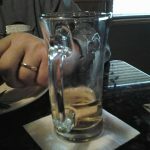 Pias’ awards fan of the week and monthly photo contest winners with a FREE appetizer. Whether you’re looking for a private banquet room to conduct an important meeting, or a quick lunchtime escape to entertain a client, impress guests and clientele at Pias. 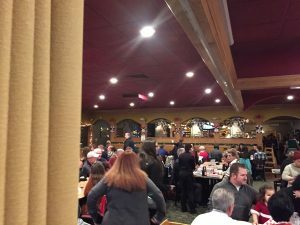 Private booths, a variety of options from our full lunch or dinner menus, from Calzones to entrée salads and banquet party value combos. Enjoy our fresh Italian selections and seasonal items, perfect for your business lunch. Enjoy lunch and make your meeting! Pias offers the best Lasagna, sandwich, and salads on our lunch menu. Our idea of lunch is to get in & out while still eating incredible food. Also available is the opportunity to phone in orders for takeout! Working through lunch never tasted so good. Book our private dining rooms for your next Office banquet occasion. Pias has room partisans and a large visual screen for your working presentation needs. Great for groups or private lunch meetings! Authentic Italian food and superior service to top it off! Overall, you are sure to have a memorable dining experience at Pia’s Ristorante. You’ll be excited to come back to share this local hot spot with friends and family. 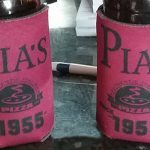 Next time you’re in Taylor and looking for the best Italian cuisine around, stop by Pia’s Ristorante – you won’t be disappointed! 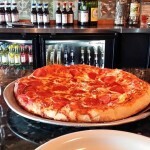 Stop by Pia’s Italiano Ristorante for your lunch break for a nice cold beer and some delicious pizza! 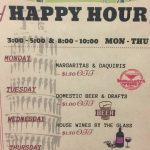 Check out our latest Happy Hour Specials Monday thru Thursday. Whether you are a fan of the Lions, Tigers, Red Wings, Michigan State, or the University of Michigan, we have a shirt for you! The full line of sports shirts is available to purchase for only $15, including tax. In addition to Pia’s monthly photo contest, Fan of the week Facebook Contest! TWO CHANCES TO WIN A FREE APPETIZER!!! – FAN OF THE WEEK: Start posting & commenting on the @PiasPizza Facebook page! (Winners, just print out photo or show staff from your phone) Fans are auto selected weekly by the fan-of-the-week Facebook app. Win a FREE APPETIZER by posting a picture with your check-in at Pia’s Ristorante Italiano on Facebook. Since we like to see our fans enjoying their favorite Pia’s lunch or dinner (Make sure your settings are set to “PUBLIC” & tag “@piaspizza”) Also, make sure to check back in at the end of the month to vote (by liking) and to ensure we saw your post! THINK OUTSIDE THE BOX ~ GET CREATIVE! Also, Gluten-free beer is on the menu. We stock seasonal and specialty beers throughout the year. Because of the popularity of Michigan craft beers and it’s an excellent way to support other local businesses. Pias has beer on draft or bottle selection that continually change. So, check out the specialty board to see what is in stock for you. Get Rewarded with Our Loyalty Card! 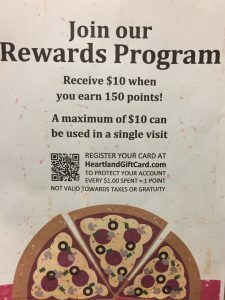 Pias offers a reward program for loyal customers! 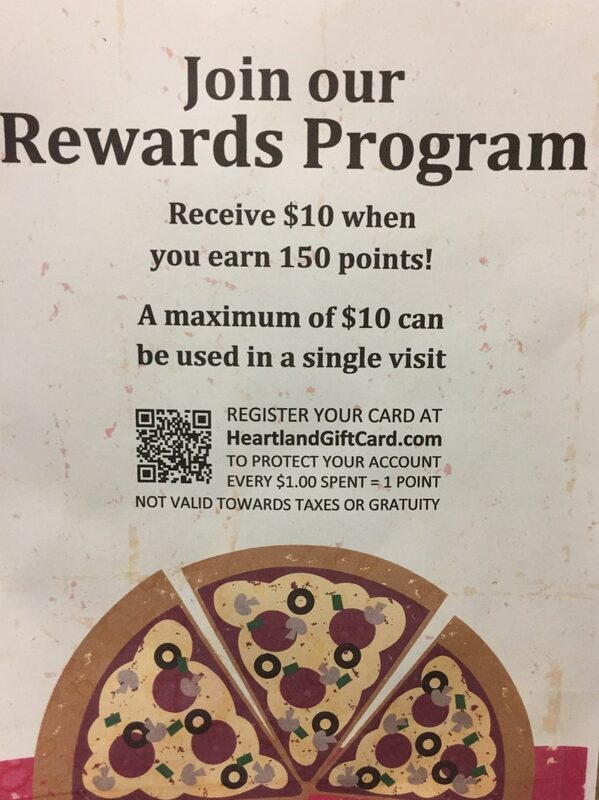 Many people are taking advantage of our loyalty program and saving money on enjoying their favorite Italian dishes at Pias! Register Your Loyalty Card – Receive Specials! Don’t forget to take a little bit of Pias home with you. We offer our special recipe Italian dressing and tomato basil sauce for sale. 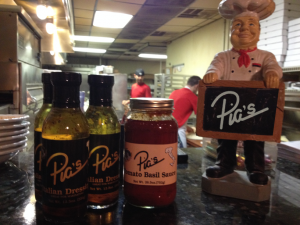 Not only can you find it at the restaurant but you can find Pias homemade Italian dressing and tomato basil sauce ready to take home from local vendors! Pias Dressing and Sauce now featured with local food suppliers. Trentwood Farms, Saveland, Moscheck’s, and Ray’s Prime Foods Inc. – Meijer and Kroger – Here we come. 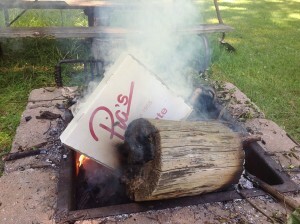 As a result, you can share the taste of Pias right at your dinner table. Also, sending a bit of Pias makes a great gift too. PIAS RISTORANTE ITALIANO (PIAS PIZZA) OFFERS GLUTEN FREE & VEGAN DIETARY ITEMS! Pias staff is thrilled to announce in addition to offering Gluten-free Pizza and Beer, we are now assisting people with special dietary needs. Make sure to check out our current specials, or speak to your waitress to find out what items we can prepare for you! Here is some feedback on meeting dietary needs from Beth … “We have always been huge fans of everything on the menu. Recently, I have had to change my diet due to some abdominal issues. Tonight, I decided to get the gluten free veggie ravioli…” We appreciate knowing that we are able to accommodate and assist the many people like Beth so they can continually enjoy our homemade Italian food. PIA’S PEPPERONI ROLLS ARE A SERIOUS HIT – TRY OUR LUNCH COMBO! Customers (and staff) rave about our Pepperoni Rolls. For starters, they are ideal for a family get-together, kids lunches and of course, office parties too! You can pre-order our fresh baked pepperoni rolls by the dozen and receive a discounted rate as well. However, please if making an order for quantity, please pre-order by phone or at the carryout counter. 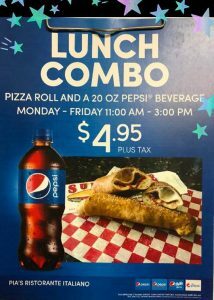 Lunch combo – Pizza roll and a 20oz Pepsi beverage. Pia’s lunch or dinner will make a great gift for anyone! 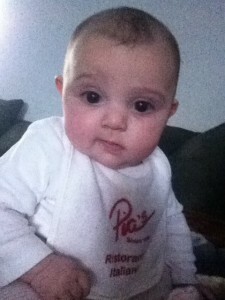 As we say, even babies love Pias! Also, gift certificates are available year-round, with any value you choose. We are looking forward to your next visit to Pias. Dine in reservations welcomed for groups of 8 and more. Pia’s has a perfect great room to go along with choice food selections to suit your needs. Also, Pias now offers room partitions for parties of 15+. However, reservations and pre-booking of room partitions are necessary. However, reservations and pre-booking of room partitions are necessary. Finally, with the spectacular banquet room, private or open – Pias specializes serving group events up to 175. THANKS FOR READING OUR LATEST NEWS – WE APPRECIATE YOUR BUSINESS!